There are no solved problems listed on our records for this photocopier. To submit a problem or give a solution for an unsolved problem, please see the list on the right. There are no unsolved problems listed on our records for this photocopier. To submit a problem or give a solution for an unsolved problem, please see the section below. All problems on this page have been submitted and answered by users. If you have a problem with the Muratec MFX2030, please submit it below and we'll post it here. 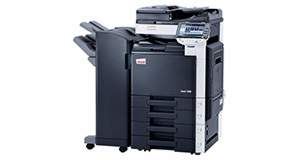 If you have a problem and the photocopier is under a year old, contact your retailer to arrange a repair or replacement. Under the Sale of Goods Act, you should be covered for at least a year and maybe longer. If you have a photocopier rental agreement in place, ensure that you follow their instructions for all but the most basic repairs. If they believe you have damage the photocopier by trying to fix it, you are likely to be liable for the cost of repairs yourself.